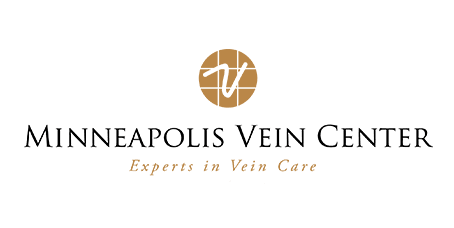 Many men and women from Plymouth, Minnesota, and nearby Minneapolis, St. Paul, and western Wisconsin turn to the Minneapolis Vein Center for phlebitis care. While some types of phlebitis are relatively minor and don’t pose serious health risks, other types require medical intervention to avoid negative outcomes, including death. The specialists at Minneapolis Vein Care are highly skilled in diagnosing and treating phlebitis. If you’re ready to book an appointment, you can do so quickly: Online scheduling makes it easy to find a convenient time that works for your schedule. Phlebitis is the medical term for an inflamed vein. Your arms and legs contain two sets of veins; one that runs just under your skin and another that lies deeper in your body. Phlebitis usually occurs in leg veins but can also affect your arm veins. Phlebitis is categorized according to the location of the affected veins. Superficial phlebitis involves only the veins near the surface of your skin and usually isn’t a serious medical concern. Deep vein thrombosis occurs in the veins that run along the interior portion of your arms and legs. Blood clots can develop in these veins, which can break away, causing severe problems with your lungs. Deep vein thrombosis is sometimes fatal without treatment. Your Minneapolis Vein Center provider creates an individualized treatment plan for each man and women in her care. Your treatment path may include compression stockings and warm compresses to relieve discomfort. Antibiotics address any skin infection related to cellulitis. You can also use over-the-counter anti-inflammatory medications like ibuprofen to relieve symptoms. Prescription medications to thin your blood can also effectively help treat phlebitis. In the case of deep vein thrombosis, special medications that destroy blood clots may be the best course of action. All prescription drugs come with a risk of side effects, which is why the Vein Center team provides thorough patient education before deciding on a treatment path. They also advise you on self-care techniques including lifestyle modifications to reduce your risk of ongoing vein issues. If you notice the signs and symptoms of phlebitis, schedule a diagnostic appointment at Minneapolis Vein Center right away. Early treatment improves your chances of a positive outcome.